For those who love a whimsical tale, enchanting from start to finish. 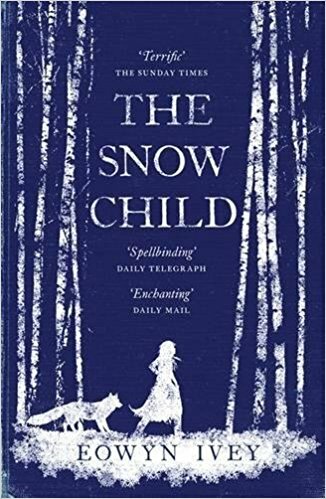 The Snow Child is an exquisite snowflake of a novel based on a Russian fairy tale about a couple who grieve the child they never had. Recent arrivals to Alaska, the couple have moved there for a fresh start but they are drifting apart. In a moment of levity during the season’s first snowfall, they build a child out of snow. The next morning, the snow child is gone; but they glimpse a young, blonde-haired girl running through the trees. I loved this novel so much. I was completely engaged from page one and was totally there amongst the harsh Alaskan beauty, utterly convinced that the Snow Child was real. This is a perfect novel to immerse yourself in this winter.